Hardcover, 12 x 12 in. / 156 pgs / illustrated throughout. Foreword by James Nachtwey. Introduction by Greg Gorman. 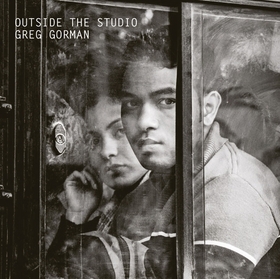 Outside the Studio is photographer Greg Gorman's tenth monograph. This book takes Gorman (born 1949) outside the reaches of his studio portrait and figure-study work, for which he is best known, and onto the streets of Southeast Asia—uncharted territory for the artist. Traveling initially on behalf of Epson, giving symposiums on fine art digital printing throughout Singapore, Malaysia, China and India, Gorman got a firsthand look at these very different cultures at the very beginning of the digital revolution. The transition from analogue to digital cameras was another new experience for Gorman, who had shot film for more than 30 years. For Gorman, being in the studio with the likes of Marlon Brando or Robert De Niro was second nature, but being thrust in front of strangers in China, Kuala Lampur, India, Thailand, Cambodia and Vietnam was a new adventure. Featured image is reproduced from Greg Gorman: Outside the Studio. Drawing on his photojournalist roots, Gorman shoots primarily impoverished peoples encountered during his travels in Southeast Asia as a rep for digital printing technologies. Though made by an outsider, the black-and-white portraits have a sense warmth and humanity, enhanced by Gorman’s artistic eye. Join Arcana Books in Los Angeles, Saturday August 15 from 4-6 PM as photographer Greg Gorman signs copies of his new Damiani book, Outside the Studio. FORMAT: Hbk, 12 x 12 in. / 156 pgs / illustrated throughout.